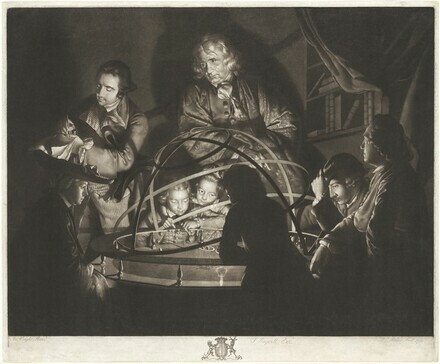 Joseph Wright of Derby: 1734 - 1797, Tate Gallery, London, Galeries nationales du Grand Palais, Paris, Metropolitan Museum of Art, New York, no. 1. Clayton, Tim. "Catalogue of Engraved Works," in Wright of Derby. London, 1990: 231-258. C. G. Boerner Ltd. Mezzotints from the Collection of Christopher Lennox-Boyd. London, 2001: no. 16.